Around here this week, that means afternoons over 42 and 43°C -- that's well over the century measured in the "old money"/Fahrenheit. It will be around 46 -- 47 inland, and probably over 50° out in the deserts/"Centre". And these current 40°C heatwaves are 3-4 weeks earlier than usually expected. More on the way over the next two months, as well..
And those Koch bros./Monckton goons/Exxon fools keep on spreading their denialist crappola; not givingma damn what long term damage they are doing to the planet, local coomunities and future generations... . So crazy how different parts of the world experience such different extremes of weather! If that was England in those pics, that land would be a swamp right about now. There was about 10 minutes of rain last night most of it pasted to the north, Plus it is half clouds half smoke. and even now at 9:30 am it is 33C so it is hot and dry, the rain evaporated with in 20 minutes of stopping. You want some rain? We got plenty. TODAY there's been some bad, bad, mean 'westerly' winds gusting up from the west (from inland, coming across off the deserts). Standing out in them, feels like the temp. is up well over 50°C (the very opposite to "wind chill" effects experienced in winter..) and the rel. humi-didity is probably effectively way down, under 20%.. These sort of conditions are "hell on earth" for the firefighters, when those winds get behind a bushfire, and stir them up into "wildfire" territory -- like those seen in Canada last year. 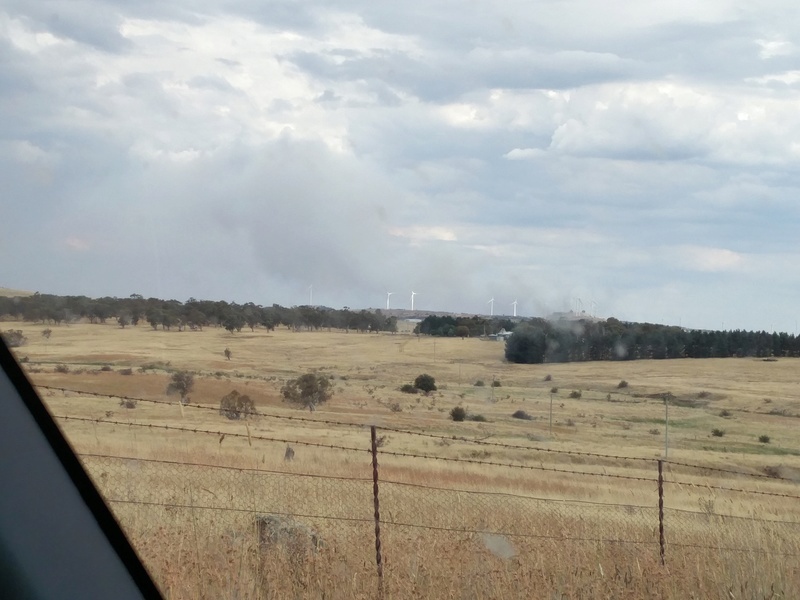 A 3,300-hectare grassfire at Tarago, north-east of Canberra, destroyed a rural home in the path of the blaze with "scary" speed, according to a farm worker who saw the devastation unfold. 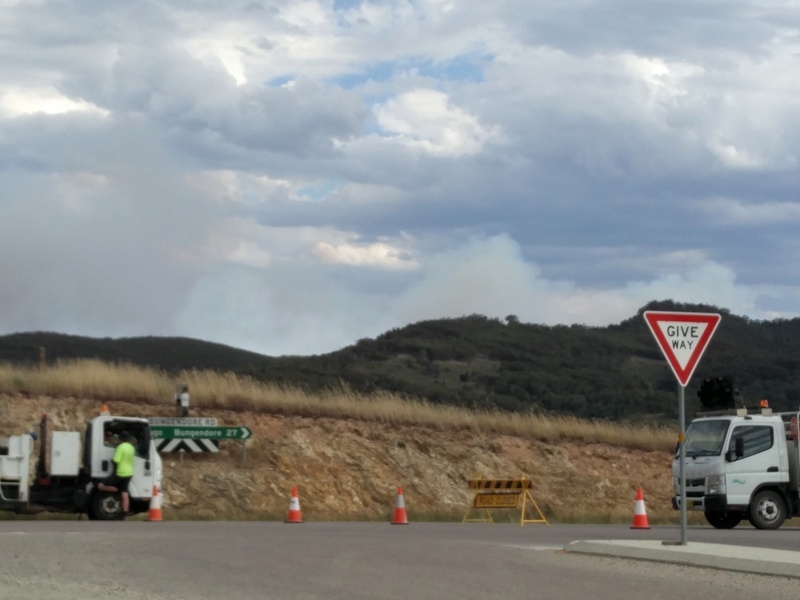 Firefighters are today battling hot, windy conditions at the scene of the blaze, which is being referred to as the Currandooley fire, near the small New South Wales towns of Boro and Tarago. None are as big as that one down near veya, as yet..
Why set fire to your own country? be careful, ya know it makes sense. Major you are a moron. just driving a vehicle through the long grass can start a fire in the condition we had in the last few days. I think you would die as Englishmen typically start dropping in temps below the minimum night temp for the past week and the Uk just doesn't get to the day temps we have had, ever. eddie wrote: You want some rain? We got plenty. it started raining during the night it is only light rain but it has been constant and dampened everything, and the fires have been bought under control. Veya, try yomping through the Brecon Beacons with a full kit weighing 80 lbs and a SLR over your shoulder, rather warm in summer and rather cold in the Snow in Winter. Not all English men are wimps. Plus most of the week it has been high 20's at midnight. In local news, we had four tornadoes strike the Dallas-Fort Worth Metroplex last Sunday, Jan. 15. Tornadoes happen in Texas, but they're really rare in January! You have lived in Oz, and served in Vietnam. Major on the other hand, is a pathetic big wuss.. The SAS and other special forces over here will send their soldiers down through the Snowies for a week with limited supplies, and let them walk out (Mid-Winter, temps down to minus 26° Celsius..); while regulars and reservists both get to enjoy other extremes at different times -- NT savannah, N Qld 'jungles', central deserts (Summertime temps can be over 50°C, while winter overnight can be below freezing..)..
Major wrote: Why set fire to your own country? be careful, ya know it makes sense. 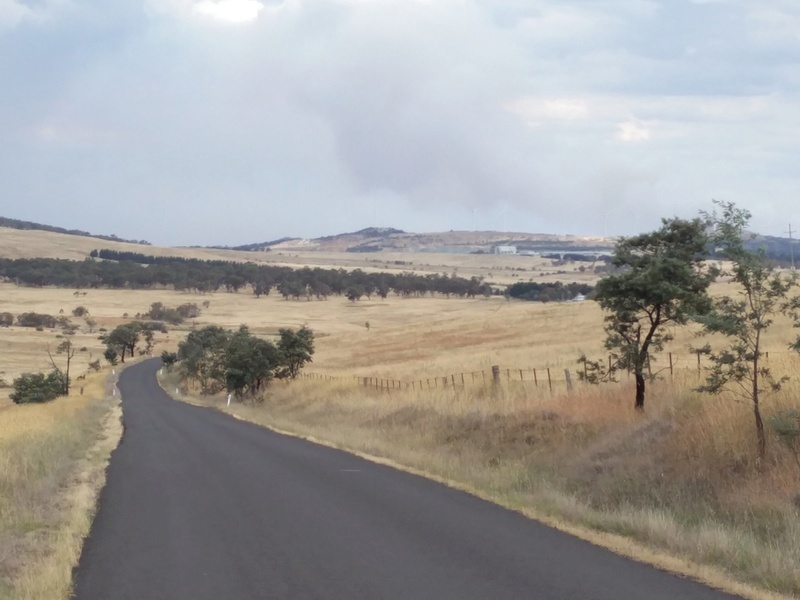 This week's devastating fire at Tarago that destroyed a home and burnt out almost 3,400 hectares was sparked when a crow flew too close to powerlines, according to the NSW Rural Fire Service (RFS). 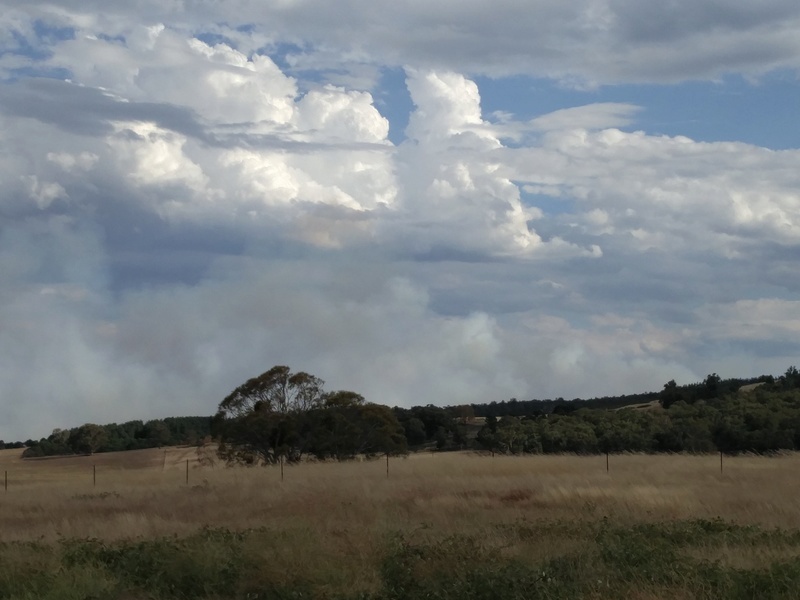 The blaze, referred to by firefighters as the Currandooley fire, is still burning in the vicinity of Taylors Road, Bungendore Road and Mount Fairy Road, but is now under control. On Tuesday, it tore through a property near Bungendore in matter of minutes, gutting a house and destroying several cars and livestock. The bird's carcass was found by investigators. Despite showers across the region this morning, firefighters from NSW and the ACT remain at the fire ground and are still working to extinguish the blaze completely. The alert level for the fire is set to advice and the fire danger rating for the NSW southern ranges fire area is still set to high.